The flour, after the blending stage is divided according to the destination. Thus one part goes to the silos, the other to the packing for the sale in sacks. The lab is the heart of Molino, is therefore the place where the main analysis and development activities take place. Warehouses for purchased sacksalongside end products complete the structure. 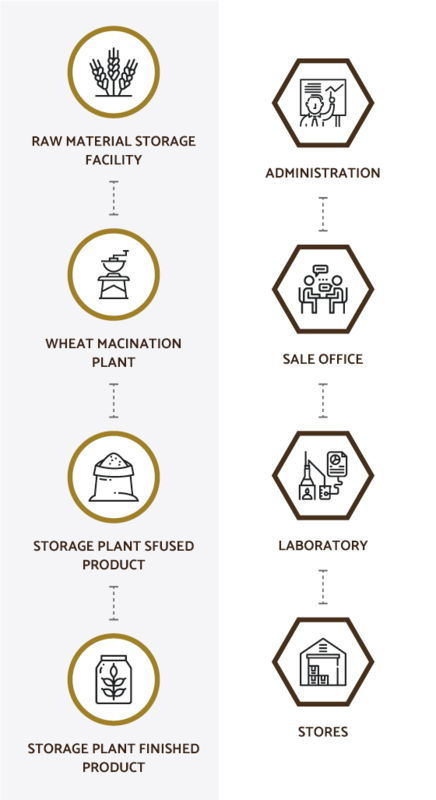 Molino Piantoni, in the course of its history has created a high-performance structure where the raw material, the end product and the grinding storage system are part of those elements of a next-generation mill. Although the company has an Italian heart, it devotes all its energies and time to the internationalization. 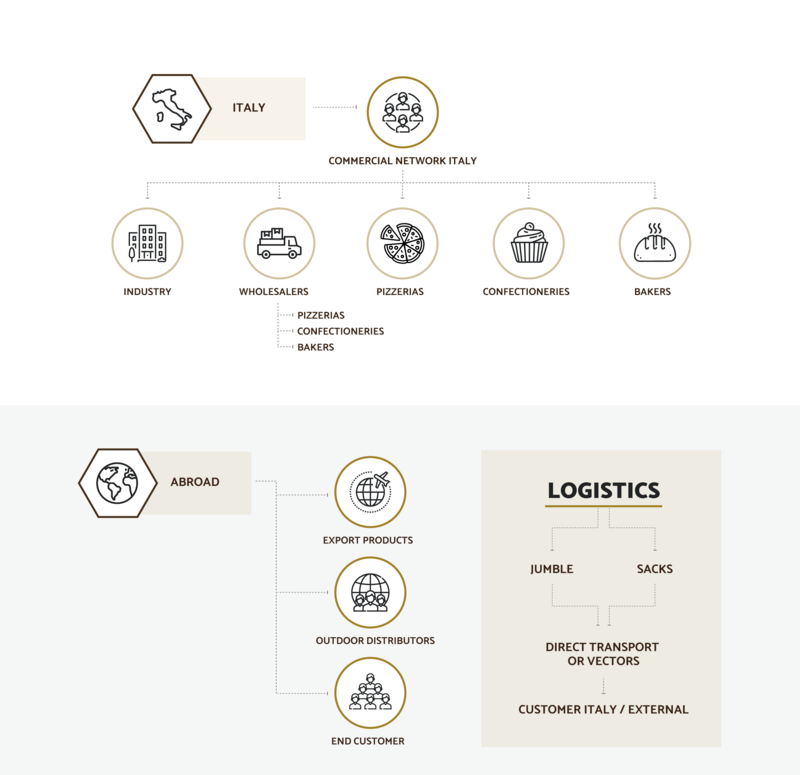 Therefore distribution and logistics are structured in accord with the national as well as the international market requirements. Molino Piantoni is active with a network of sales representatives who are directly in touch with both customers and a distribution network of wholesalers. This is why the company achieve commercial goals and a series of agreements with high-level partners.